Speaker: Jason Higa, Chief Executive Officer of FCH Enterprises, Inc.
Jason Higa is the CEO of FCH Enterprises, which includes Zippy’s Restaurants, Napoleon’s Bakery, Food Solutions International, Pomaika’i Ballrooms at Dole Cannery, A Catered Experience (ACE), and Kahala and Pearl City Sushi. Zippy’s Restaurants was founded by brothers, Francis and Charlie Higa, in 1966 and celebrated its 50th anniversary in 2016. 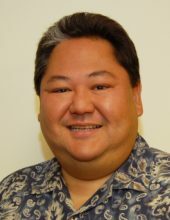 Prior to joining FCH Enterprises, Jason worked as a Honolulu attorney from 1990 to 1995, working in the areas of litigation and transactional law. In 1995, Jason returned to FCH Enterprises and worked in different positions within the family business before assuming the position of CEO and President in 2003. Jason currently serves in the position of CEO for FCH Enterprises. As a second generation family business leader, Jason strives to preserve the core values of the company founders, while continuing to evolve the company toward the future. Contact fbch@hawaii.edu for more information and to register.